Hard times don’t have to be completely bad times as evidenced by this song from the Sixties. Yes, this is the original. If you heard The Buckinghams‘ version of the song, with lyrics that they created, it was merely a homage to a surprise runaway hit composed by Joe Zawinul. Take it away, Wikipedia. Though the original liner notes state that it was recorded at the Club DeLisa in Chicago, it was actually recorded at Capitol’s Hollywood studio with an invited audience and an open bar. The reason for this discrepancy, according to the liner notes in the CD reissue, is that Adderley and the new manager of Club DeLisa (which had been renamed “The Club”, after operating for years in Chicago under its old name) were friends, and Adderley offered to give the club a bit of free publicity. The title track from this album became a surprise hit, reaching #11 on the Billboard charts. On this album, Joe Zawinul played a Wurlitzer electric piano; however, subsequent live performances saw him taking up the new and mellower-sounding Fender Rhodes instrument. The personnel of the Cannonball Adderley Quintet at that time were Julian (alto sax) and his brother Nat (cornet), Joe Zawinul (piano and Wurlitzer electric piano), Victor Gaskin (bass), and Roy McCurdy (drums). That electric piano that Zawinul used is alleged to have once belonged to Ray Charles. In reality, by this time, he had heard Charles’ playing electric piano, and had decided to try it, resulting in compositions like “Mercy, Mercy, Mercy.” He went on to master it as well as the Arp synthesizer, an experience that would bring him to electric jazz or fusion jazz with Miles Davis, and later, to create Weather Report with Wayne Shorter in the early Seventies. 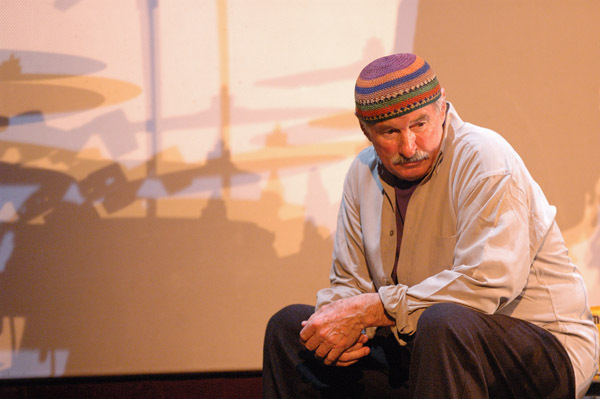 Joe Zawinul, who died in September 2007 at the age of 75 from a rare form of skin cancer, was one of the first to use electric pianos and synthesizers in jazz, along with Chick Corea and Herbie Hancock. More about Zawinul can be found here, including his breakthrough stints with Maynard Ferguson and as Dinah Washington’s pianist. He was survived by his biracial sons Erich, Ivan, and Anthony; his wife Maxine had preceded him in death earlier that same year. The grandson of a Roma woman, and the son of an Austrian laborer, Zawinul is buried in Vienna. 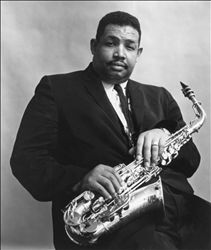 Julian “Cannonball” Adderley, however, preceded Zawinul in death in 1975; he died of a sudden stroke at the relatively young age of 46. The son of music educators, he himself was a well-known and popular high school band director in Florida who appeared as a sideman in other clubs before he decided to form his own group and take to the road. His music has been described as “exuberant,” “happy,” and “straightforward” and accessible. At first, he was acclaimed as a natural successor to Charlie Parker, but the blues-inflected compositions of sax man Benny Carter also informed his work. Compared to someone like Miles Davis, who seemed all brooding and attitude, Adderley was not aloof or distanced from listeners. Adderley always engaged his audience by prefacing what he and his group were going to play, as shown in the recording. At the time of his passing, Adderley had out-grown his hair into a long Afro and had grown a graying beard. And he was always rotund. He was revisiting his old compositions and hits in light of fusion, to put some new life into them, but he was also having trouble getting gigs at colleges; the students had moved on from jazz—which was considered old-fashioned—and were more invested in rock and soul, which to blacks was considered to be the music of the revolution; crossovers were considered apostasy. Adderley still had to present himself and his work as if he was just starting out, which could be rather insulting if one really knew where he came from. Which makes one wonder what he would have been capable of had he lived. He complained that jazz was not being taught in schools so that new generations could appreciate the roots of what they were listening to in the present. 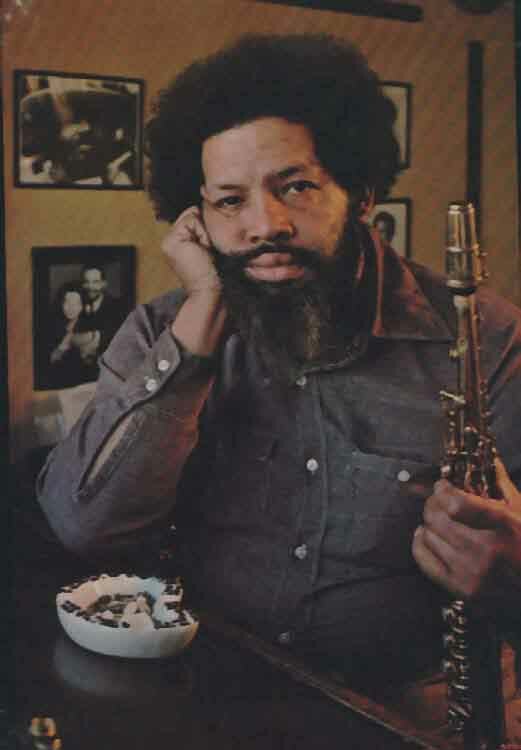 Quoted in an obituary published by the St. Petersburg Times, Adderley blamed black leaders for this lack of respect and appreciation for jazz in the tastes of black youth during the Sixties and the Seventies. “Black music has been neglected by black leaders who were striving for bourgeois values. Many black school officials frown on jazz. We play at 40 to 50 colleges a year where black kids dance to James Brown or Otis Redding, but they don’t know what the music is.” In a predominantly black college, students should be “curious” about this, he remarked then. I wonder what Cannonball would have thought of hip-hop, which was just getting started at the time of his death, and since its infancy, hip hop samples just about everything. I was lucky to hear Cannonball and his brother as a child who listened to and looked through her stepdad’s collection of hard bopping jazz classics. Adderley was survived by his wife of 13 years, actress-singer Olga James, a Juilliard graduate who appeared as the jilted fiancée Cindy Lou in Carmen Jones, as well as his parents and his brother Nat. At last report in 2004, Olga James, a colorful woman who reportedly dated Aristotle Onassis, was still living in Los Angeles. Adderley is buried in Tallahassee, FL. ~ by blksista on July 9, 2013. LOL!!! Thank you sis, you always giving me an education. The song reminds me of my father a once audiophile. He would on Sunday pull out all his records and start putting all on reel to reel. Yeah, this was some years ago, most now don’t even know what a reel to reel is.